IN POLITICAL ART, is less more? Two Guapamacátaro alumni, Mark Clare (IRELAND) and Julia Mandle (USA) succeed in creating artworks that are political without being “preachy”. 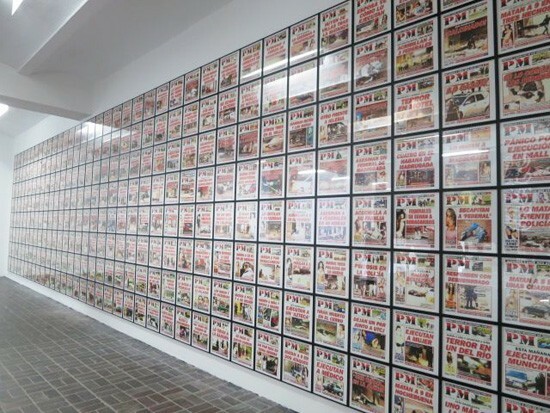 At the recent Berlin Biennale (7th edition), Mexican artist Teresa Margolles’ meticulously pretentious array of red-note newspaper covers display, without further artistic intervention, the bloody tally of death in Ciudad Juarez, Mexico over the last year. I was proud to encounter a paisana’s work in such a venue but, are we supposed to applaud this kind of work? 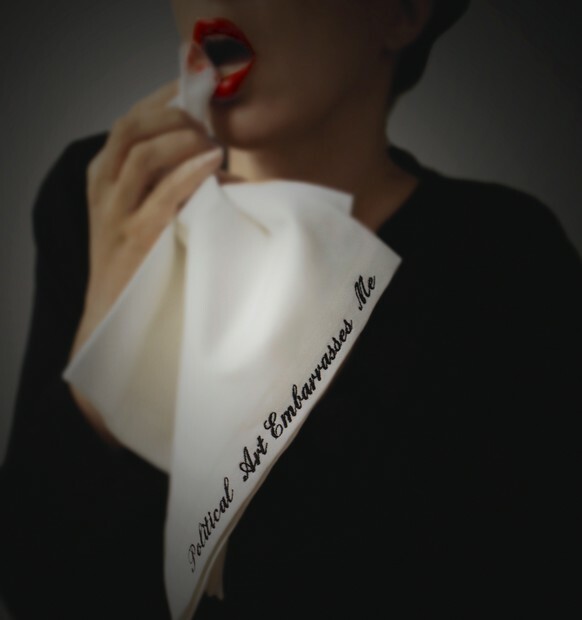 The field of contemporary art has become so broad and inclusive it is no longer clear. The whole biennale seemed to have the same insipid taste: overly straight-forward, loud preeching accounts of the current socio-economic situation worldwide. I will venture to call this journalism, not art. For it to be art, I would remind fellow artists and curators of the good old saying: “less is more”. In my opinion, current political art of decent merit does exactly that. Consider Irish artist Mark Clare’s latest creation Territorial Revision (prototype), where he skillfully brings together various found objects, both natural and man-made, to create a poignant yet subdued artifact. Its exagerated proportions and juxtaposed shapes make me think of status, authority, decay, and absence, suggesting political and economic instability…so relevant nowadays! All the components of the work were gathered from different nooks within the Guapamacataro Hacienda, where he was in residence in April of this year. Material histories and conceptual associations converge to form a quarky assemblage that immediately engages our imagination, instead of bombarding our intellect with already heard political propaganda. 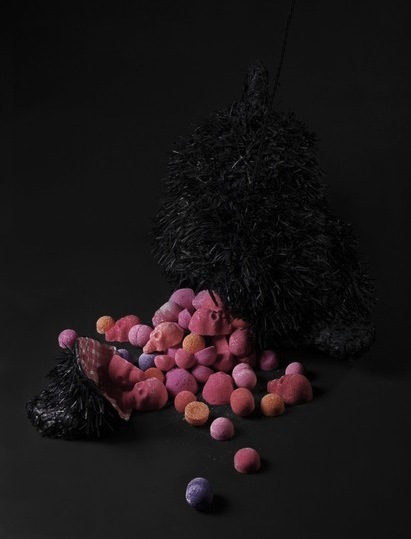 Clare is working with the notion of discard and the re-purposing of materials (a common practice in the struggling Mexican economy), yet in doing so, he taps into a highly controversial topic: the absurdly inept and painfully crude reality of Mexican politics. 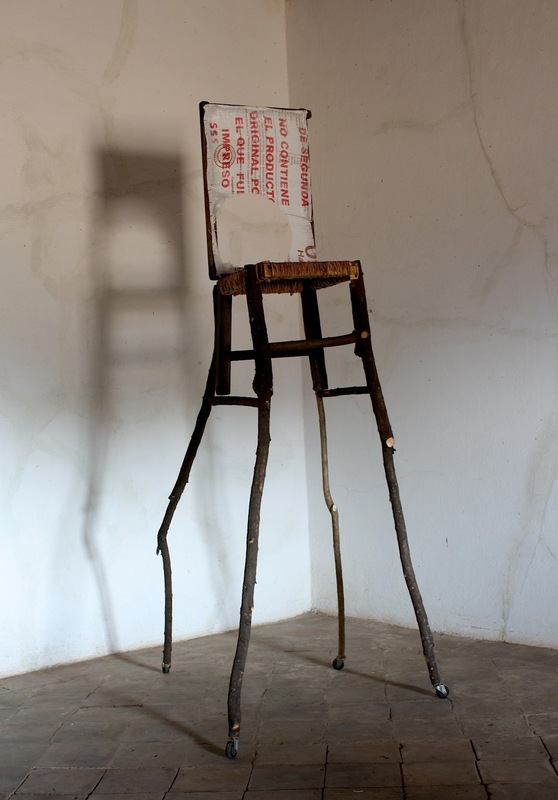 In the throne’s backrest (a framed burlap bag, discard from Emily CD, another artist in residence at Guapamacataro), it reads: “Second Class – does not contain the product for which it was originally printed”. The witty sentence makes allusion to the grand promises of politicians during election campaigns, shamelessly forgotten once in office. The hole in it also suggests the lack of an effective power figure in Mexican society; the (oh! so common) missing leader/politician, more of a magician/thief. Another artist worth mentioning is New Yorker Julia Mandle (now living in the Netherlands and also a Guapamacátaro alumn), who has been at the height of sophistication and political instigation for almost two decades. 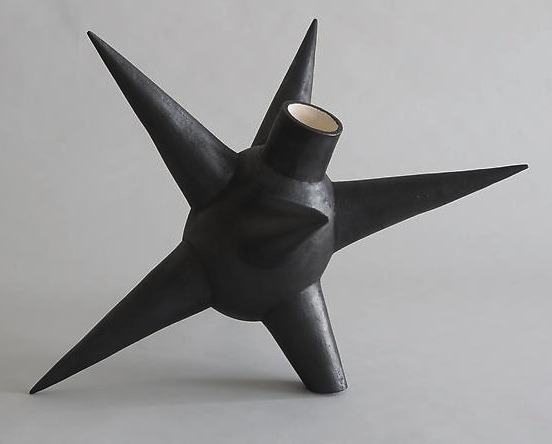 Her works –a hybrid mélange of sculpture, performance and fashion–, have been presented at renown venues such as the Baryshnikov Arts Center, the Storefront for Art & Architecture, the New Museum of Contemporary Art and the Cooper-Hewitt National Design Museum, among others. In the pieces shown below, carefully embroidered Victorian gowns and charcoal smeared walls display socio-political hatred and hypocrisy (Chicky Meal, 2006); an elegant napkin, photographed being used by Senator Kerry’s daughter Alex, reads: “Political Art Embarrases Me” (Untitled, 2007); and black, granade-shaped piñatas bathe the air with sweet conspiracy and deception (Lamiya’s Last Game, 2011). This last one found its inspiration while in residence at Guapamacátaro. I remember walking with Julia (7 months pregnant back then) alongside the road that connects the hacienda with the closest town, Maravatío, in search of a piñata stand I had once seen there. After walking for about an hour, we arrived at a bright orange house nesting a cloud of half-way done piñatas in the carport. We stayed for about an hour; Julia learning how to make piñatas from artisan Ana Rios, me translating between them. Two years of creative process later, an exquisite array of photographs, works on fabric, and ceramic, paper and bronze sculptures were exhibited at LTMH Gallery in New York. The beautiful tangible serves as evidence for the horrific intangible; THAT is political art to me.